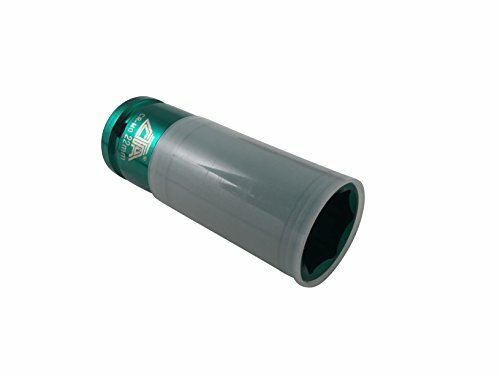 Performance Tool W38172 3/8" Dr Magnet Spark Plug Socket, 5/8"
Performance Tool W32004 Drive Aluminum Socket Rail, 1/2"
The Gator Grip King Gator Universal Socket is made in the USA and engineered to withstand over 450-foot-pounds of torque. 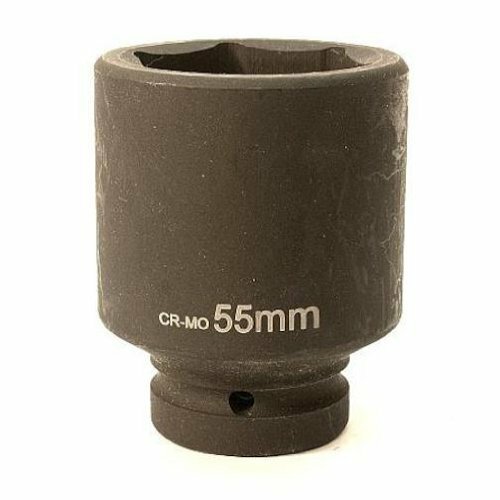 The 1.25-inch diameter socket contains 54 hardened steel spring pins for long-lasting durability. When placed onto a fastener, the center pins retract and the outer pins surround the fastener. As the fastener is turned, the torque is transmitted through the outer pins to the walls of the socket, making this socket an ideal choice for heavy-duty personal or professional use. Fits hex heads measuring 7/16-inch (12mm) to 1.25-inches (32mm). The tool features a 1/2-inch drive, and comes with a 1-year limited manufacturer's warranty. 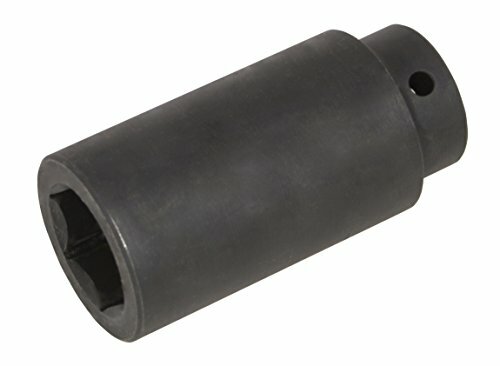 1/2" Drive professional grade socket. Self-adjusts for all shapes and size fastener, except a perfectly round head, just file an edge. Self-adjusts from 7/16" to 1 " Standard and 11mm -32mm Metric. Replaces a toolbox full of tools and so easy to use. Not only for the tradesman, everyone can use it. Designed for easy use. Manufactured by a trusted brand. Made in Thailand. Protective sleeves and plastic inserts prevent scratching of wheels and lug nuts. Hollow design allows room for removing longer bolts. Color coded for easy identification. Heavy duty chrome molybdenum. Socket openings are designed to reduce fastener rounding. Chrome vanadium alloy steel construction for strength and durability. Polished nickel chrome plated finish resists corrosion. Large stamping for quick identification. Recessed edges. 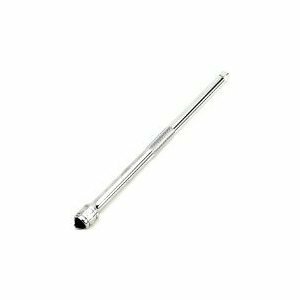 Wilmar W32004 1/2 In. Drive Aluminum Socket Rail features spring loaded ball bearing clips for easy on and off. Double sided for efficient use of space, holds up to 14 1/2 inch drive sockets. 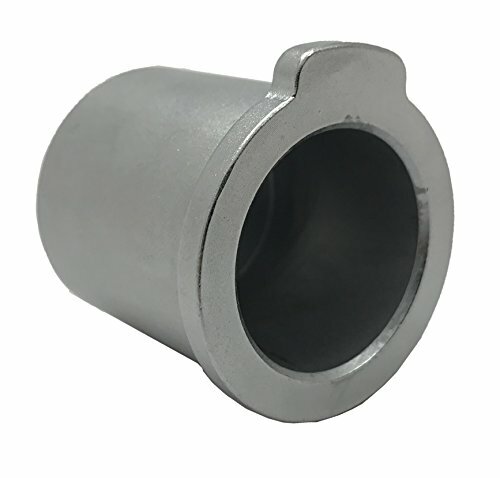 Heavy-Duty impact socket designed with more than three times the standard socket mass to direct more energy to removing the bolt. Rotates and holds intake camshaft during timing chain service. Services 4 cylinder 1.8 & 2.0L 4V TFSI direct injection engine (generation III). features 3/8" square drive and bright finish. California prop 65 - warning, this product contains chemicals known to the state of California to cause cancer, birth defects or other reproductive harm. Warranty: Lifetime Replacement Hand tools. 1 Year on Air tools. excludes blades, bits, punches, dies, bulbs, fuses, grinding wheels, belts and other consumables which must be replaced under normal use and service. Designed and tested to reach studs in difficult work areas. 3/8" Drive for 6mm, 8mm, 1/4" and 5/16" stud sizes. 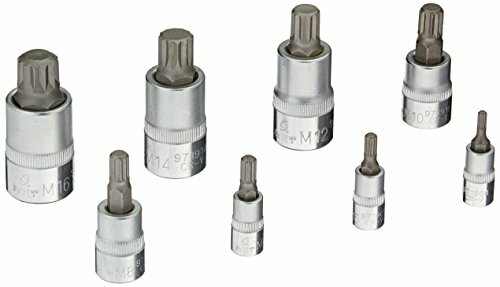 1/2" Drive for 10mm, 12mm, 3/8" and 7/16" stud sizes. Weight: 2.3 pounds. 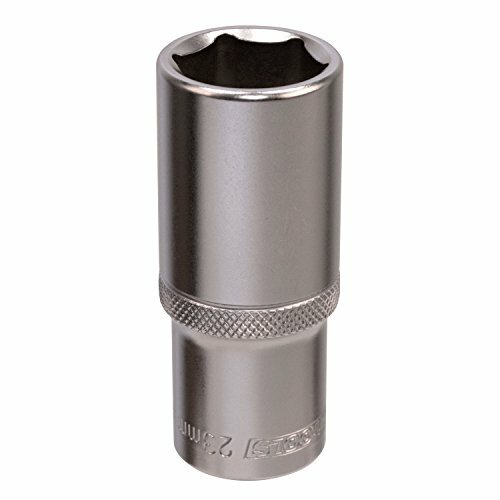 22mm chrome-moly socket services many late model vehicle lug nuts, including Honda, Toyota, GM, Chrysler. Color-coded with anodized finish. Protective plastic sleeve prevent scratching of wheels and lug nuts. Internal magnetic insert is removable to service longer bolts. 1/2" square drive. California Prop 65 - Warning, This product contains chemicals known to the State of California to cause cancer, birth defects or other reproductive harm. Heavy-Duty impact sockets designed with more than the standard socket mass to direct more energy to removing the bolt. 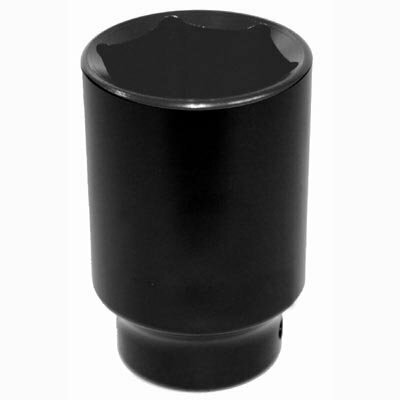 The OEMTOOLS 1/2 Drive Deep Socket - 23mm is made with a Hard Chrome Finish and is easy to clean. 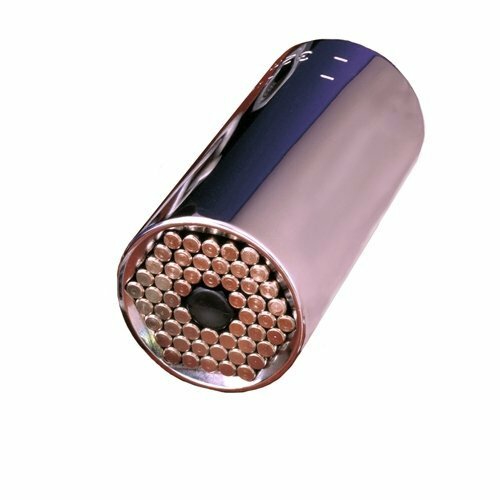 The sockets are made with special alloy steel, which is heat treated for extra strength. The sockets have a Posi-Grip No-Slip that provides off corner loading for greater torque and the chamfered ends allow the socket to easily slip over the bolt head. 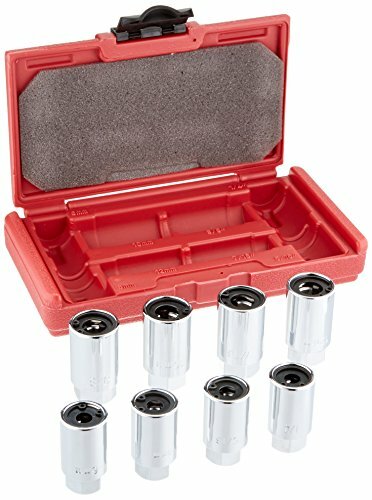 This Sunex triple square bit socket set will give you years of usage. It comes with a lifetime warranty which backs the craftsmanship of this CR-V alloy steel product. 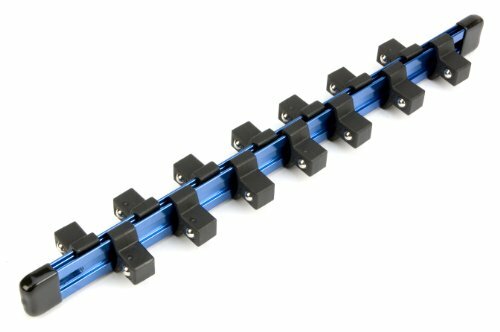 It comes with a convenient metal clip storage rail and includes sizes: 4mm, 5mm, 6mm, 8mm, 10mm, 12mm, 14mm and 16mm.